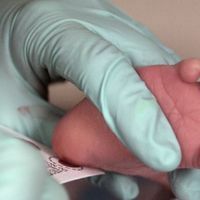 In the past few years, digital PCR has been used to detect and quantify cancer-causing genes in patients’ cells, viral RNA that infects bacteria, and fetal DNA in an expectant mother’s plasma—and has arguably done so better than quantitative, real-time PCR (qPCR), a mainstay of life science laboratories. Although qPCR is here to stay, there’s much to prefer about digital PCR. Both are used to amplify, detect, and count individual nucleic acid molecules. Digital PCR is more precise, however, which makes it better for quantifying rare genetic mutations, deletions, and duplications in DNA. For example, with digital PCR it is possible to distinguish samples containing 10 copies of a gene from those with 11. In contrast, with qPCR, it is difficult to distinguish even 2 copies from 3. Digital PCR works like conventional PCR, except that the machine first partitions your sample into hundreds or even thousands of separate reaction chambers. Today’s machines do that on chips with micropumps and microvalves that distribute and seal PCR fluid into isolated reaction chambers; with microfluidics plates that funnel each reaction into its own separate well; or by streaming each sample into thousands of nanoliter-sized droplets. The machine then amplifies your target by running PCR in each chamber. Those compartments that end up containing your target molecule complete the PCR and read “positive,” whereas the ones containing no DNA register as “negative”—hence the term “digital.” Algorithms calculate the total number of reactions, giving the precise number of target molecules in your sample. “Digital PCR is a simple concept, it gives you much more precise data, there’s much less optimization of your primers involved, and you can target any locus you want very rapidly and easily,” says Frank McCaughan, a career development fellow at the Medical Research Council Laboratory of Molecular Biology in Cambridge, U.K. Despite its advantages and its rapid commercialization in the past five years, digital PCR remains unfamiliar to many researchers. The Scientist investigated instruments that are currently on the market or coming soon. Here’s a brief rundown of each system, and tips on getting started. The OpenArray system does both real-time and digital PCR. Launched in November 2010, it features digital plates, each of which divides samples into 3,072 chambers using microfluidic technology—in this case, shooting the sample into nanoscale holes (called “through-holes”) arranged in 48 subarrays of 64 holes each. Capillary forces and hydrophilic and hydrophobic coatings on the plates help keep each reaction separate. Three plates can be processed in a single run, but they are not reusable. The tray’s division into subarrays lets users choose how many samples to run and how many chambers to divide those samples into, which can save money, notes early user Mikael Kubista, founder and CEO of TATAA Biocenter in Sweden. Researchers used the system to evaluate genetic markers in human bacterial pathogens (Mol Cell Probes, 25:222-30, 2011) and in cancer gene expression analysis (Oncogene, Aug 8, 2011, Epub ahead of print). 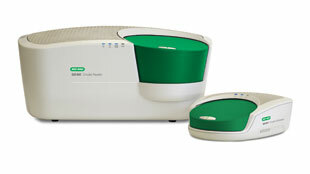 The only commercial digital PCR system that employs droplets rather than microfluidic chips to partition samples, the Bio-Rad QX100 ddPCR System (formerly known as QuantaLife Droplet Digital PCR) uses water-oil emulsion to divide each sample into 20,000 droplets, in which the normal steps of PCR occur before the droplets are funneled through a reader that functions like a flow cytometer. Researchers can create 8 sets of droplets in parallel using the droplet generator. Because most labs employing PCR already have a thermocycler, the system doesn’t include it, says Ben Hindson, cofounder and chief scientific officer at QuantaLife, which is now part of Bio--Rad in Hercules, California. That saves on cost (and provides flexibility for different thermocycling protocols and assays). The platform also uses a 96-well plate, which is what users are set up to do in real-time PCR applications, Hindson says. Beta tester and early adopter Muneesh Tewari at the Fred Hutchinson Cancer Research Center in Seattle, Washington, has an entry-level research technician and a senior scientist running the instrument. “It’s pretty straightforward after you’re trained to use it,” he says. The ddPCR system is for sale in the United States only, but Bio-Rad plans to begin selling globally before the end of the year. The company is also working to make more protocols, such as gene expression measurement, available. The goal is to make customers aware of the more advanced applications they can do with the instrument, Hindson says. None yet, though Tewari and others are independently evaluating the system. His cancer biology group is investigating how results vary between days, wells, and runs, and they are comparing the method to real-time PCR. 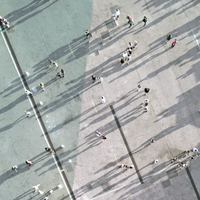 “I can say from our results [using QuantaLife’s system] that there’s definitely increased precision and ability to resolve differences between samples, using synthetic microRNAs at the very low end of the concentration range,” says Tewari. 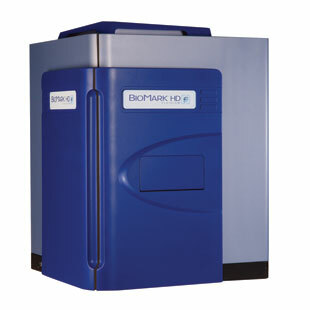 Released in February, BioMark HD (a slightly tweaked version of the BioMark, which came out in 2006) also performs real-time and digital PCR using microfluidic circuits to partition samples. For digital PCR, Fluidigm offers two different arrays: 12.765 chips, which run 12 samples and 765 reactions/sample, and 48.770 chips, which run 48 samples and 770 reactions/sample. These digital arrays are also compatible with the EP1 system, a simpler Fluidigm instrument that measures the amount of nucleic acid product at the end of the amplification rather than in real time throughout the reaction. Company experience. 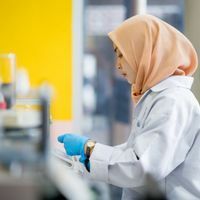 “What makes us more compelling is the fact is that we’ve been in this for a fair amount of time,” compared with emulsion-based digital PCR systems, says Ramesh Ramakrishnan, d-irector of molecular biology at Fluidigm. None yet on the BioMark HD, but Dennis Lo’s group at the Chinese University of Hong Kong found that the original BioMark was more precise than conventional PCR at quantifying fetal DNA in the plasma of pregnant women for noninvasive prenatal diagnosis (Clin Chem 54:1664-1672, 2008). 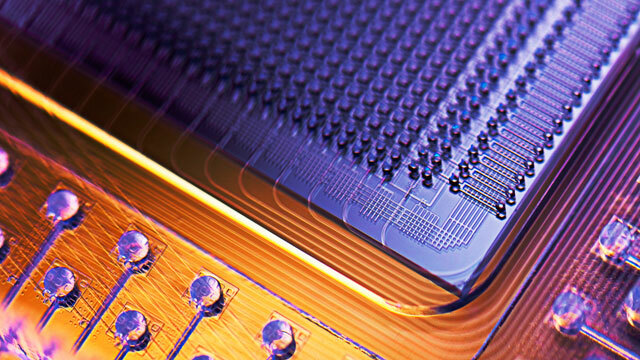 Fluidigm has developed a microfluidics-based prototype chip with 200,000 reaction chambers. The company has also licensed a new digital PCR method that generates 1 million separate reactions. The tool uses surface tension–based sample partitioning and dehydration control—a new mechanism for generating separate reactions (Nat. Methods 8:649-51, 2011). (See "Next Generation: Hundreds of Cell-Analyses at Once".) But until customers clamor for such resolution—or the ability to run more samples at the same resolution—the company isn’t hurrying to commercialize these tools, notes Ramakrishnan. Life Technologies launched a new digital and real-time PCR system, called the QuantStudio 12K Flex, in October. It is compatible with OpenArray Digital PCR plates and runs four of them at once rather than three. The instrument does traditional qPCR using four additional types of formats, including 96-well and 384-well plates. Someone doing traditional qPCR on the 384-well plates could process a second set of samples using the digital PCR plates as a way of getting the precise copy number, notes Vanee Pho, product manager for the OpenArray instrument line. The cost ranges from $90K–$190K, which includes software and the block that holds digital plates (not the plates themselves). 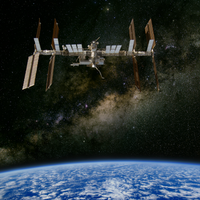 Life Technologies is lining up test users for the instrument. 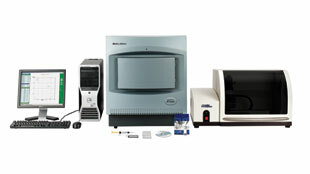 Massachusetts-based RainDance Technologies plans to release a droplet-based digital PCR instrument in 2012. The system will come with a droplet generator and detector. The company claims to be able to divide one sample into 10 million picoliter-scale droplets. Although RainDance has not set a price, it anticipates the instrument will run around $100,000, or similar to a high-end qPCR system. “Unlike the [Bio-Rad] system, our system seals up the sample in a pre-PCR environment so that when it’s transferred into the post-PCR environment there’s no chance of having any amplicon contamination or cross-contamination between samples,” says Andy Watson, vice president and chief marketing officer at RainDance. How many reaction chambers do I need to achieve my goals, and how much volume will I need to push through the system? The rarer the mutation you’re looking for, and the noisier the background DNA, the more reactions you’ll need to detect and quantify the mutation. Equally, if you have a rare target molecule, then you have to sample enough volume before you can find that one molecule. “If you have one target in every 100 µL of your DNA sample, then your system has to analyze at least 100 µL before you can look at that,” Dennis Lo says. Make sure the system can handle that much volume. If you have no idea how much DNA is in your starting sample, do some preliminary investigation using real-time PCR before investing in a digital PCR system, says Kubista. Most digital PCR systems—when used to analyze samples at high precision—fall into the “medium throughput” category, which means they can do a few hundred samples per day at most. If you need more than that, you might consider investing in a high throughput qPCR instrument instead. Would I rather have a stand-alone system or one that also does traditional PCR? “The number of customer projects we have on digital PCR is still so much lower than on qPCR,” notes Kubista, so for now he favors instruments that do both. Conversely, if you already use a real-time PCR instrument and know you will need a digital platform for an additional large experiment, it may be worth the investment. How precious is my sample? In digital PCR systems, as much as a half of your sample is sequestered in the channels of the instrument and never makes it to the PCR steps. How much can you stand to lose? Ask about dead volume before you invest. If you want to use digital PCR to calibrate qPCR assays, then it’s especially important to account for dead volume, and it is crucial that the estimate be consistent (reproducible). What if I’m doing clinical development? Keep in mind that digital PCR is not yet accredited for doing clinical research. If you’re aiming for FDA approval, says Kubista, “you need to have data that are produced in an accredited laboratory using an accredited system.” Of course, some are banking on eventual accreditation: Lo and Tewari, for example, are aiming for clinical translation. Will I need extra help? When you’re working with a complex sample, you might be confronted with false positives, caused by primer dimer formation or missed priming, or false negatives because the PCR does not pick up the template. If your instrument’s analysis software falls short, several companies, such as MultiD Analyses in Sweden, have developed software algorithms you can train to distinguish between positive and negative reactions. Correction: In the original article it was incorrectly stated that a thermocycler will be included as part of the RainDance Technologies digital PCR system planned for release in 2012. The Scientist regrets the error.